Something to Read While Travelling is a useful companion to accompany you on your travels. Useful tips that won’t be found in most travel publications. Tourist Hot- spots, including maps. 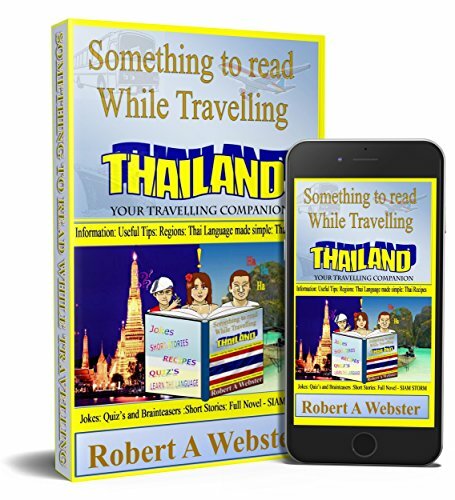 Short Stories set in Thailand. The complete novel: SIAM STORM - A Thailand Adventure. Leave your cares and woes at the arrivals section of the airport. Make sure you pack a big smile along with this travelling companion in your suitcase Open your heart and mind, and enjoy your wonderful time in the Land of Smiles.